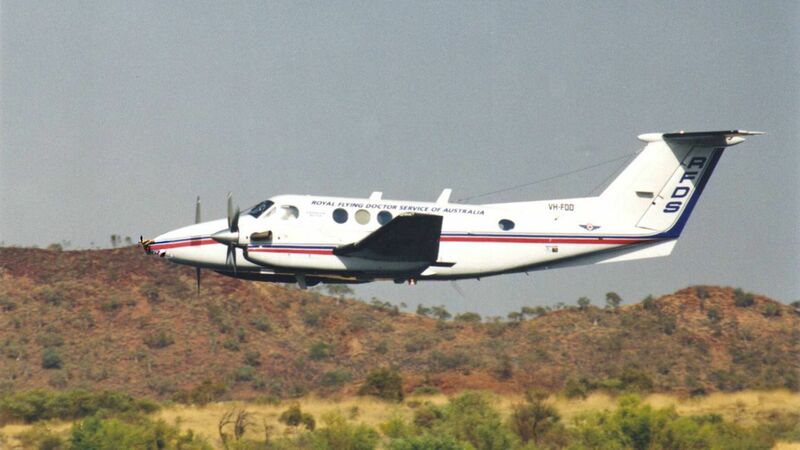 Here's where to watch every episode of The Flying Doctors season 2. Mouseover or tap an episode to see where to stream it. Click or tap the play icon to stream it on the best available service. Good Day For It Jul 7, 1987 Sam and Kate are worrying for a woman named Sal Cleary, she acts a bit odd. They check it out and it turns out her daughter Julie is pregnant. She isn't married but still wants to keep the baby. The family wanted to pretend the baby was Sal's, so both she and Julie has to stay out of sight until the baby is born. At the birth there are some complications but everything goes well eventually and Geoff, Kate and Sam lets everybody think it was Sal's child. There is a political election between George Baxter and a man named Rob Dalton. George wins. Horses For Courses Jul 14, 1987 A man called Jim has a car-accident and goes to hospital. His wife, Carol, is acting a bit strange about it. Chris finds out she's dyslectic, but she refuses to admit it. Later her son drinks some medicine, she can't read the bottle and that way everybody finds out she can't read and write over the radio. Sam buys a horse from Carol, who is an extremely good rider, and Sam and Kate are practicing togehter for the big rodeo. Carol doesn't want to ride in the rodeo, she feels embarresed, but she turns out anyway. There's a beer-strike and Hurtle makes some own beer. But suddenly the whole town starts acting really strange. Geoff finds out Hurtle has mixed the alcohol with caffeine, which causes personality changes! The Unluckiest Boy in Town Jul 21, 1987 A woman named Barbara Freeman finds out she's got a braindisease. It's hereditary, but her husband Robert won't tell their son Michael, he doesn't want him to worry. But Michael hears it anyway, and steals Baxter's airplane. The plane is grounded, and finally Jack manages to talk him down. DJ wants to start a disco to get the youngsters calm, they've caused lots of trouble. Jack lets him build a gym. Jack's boss Kevin has heard complaints about the youngsters and shows up. He decides to transfer Jack, but when he sees how Jack talked Michael down from the plane he changed his mind. Finally DJ gets his disco and celebrates with a huge party! It Isn't Cricket Jul 28, 1987 A rich man calls Nigel turns up in town. Due to an accident he ends up in hospital. He has got one glass eye, and a melanoma in the other one. He refuses an operation since that would make him completely blind and doesn't care what the others say. Finally Kate and a blind lady convinces him to have the operation. There's a cricket game between the Crossing and Windoona and Nigel manages to get a top national player to play for Coopers Crossing. Sam plays for Windoona, and finally it's him versus Emma - Emma wins and so does the Crossing!! An Only Child Aug 4, 1987 Jan, Phil and Zoe Buchanon are come to the Crossing to write some articles and takes some photos for a couple of articles. Both Jan and Phil falls down a cliff, which leaves little Zoe all alone. She moves in with Chris. Sam can't stay at the pub, the RFDS can't afford paying the bill anymore, they can only pay 60 dollars a week. Sam moves in with Violet, but then it turns out Vic and Nancy would have let Sam stay at the pub for those 60 dollars. This causes a huge fight between Violet and Nancy! Sam is waiting to see if he will get his permenancy as a pilot of the RFDS,but when the letter comes it turns out he got another six month probation. A Love Story Aug 11, 1987 A couple gets married. Zoe stays in Chris house. Geoff falls into the water when he's talking to Kate. Keeping Up Appearances Aug 18, 1987 A couple get strickened by a employed, Chris is trying to help the woman (Chris thinks it's the husband who hits his wife) Chris and Zoe is fighting- but makes friends again. All Things Bright and Beautiful Aug 25, 1987 Two fellows from town are shooting kangaros. Kate finds a hurted ""Kangaroobaby"" and takes care of it. The guys even shoot ""Father Jacko""- but he makes it. Chris try to get Zoe to meet her real father. My Name is Sky Sep 1, 1987 A gang of ""Hippies"" comes to town. zoe talks to her father and Chris got a patient which she hates- he dies. Geoff goes to Sidney but miss the Outback. Fifty-two Hours Straight Sep 15, 1987 Sam breaks two of his ribs when ""the Cochrane brother's"" car explows. Sam, Emma and Geoff are stuck in the nomad out in the outback. A Friend of a Friend Sep 22, 1987 A ""madman"" comes to town. Emma and Sam visits Sams parents. Emma and Sam gets together- and break up again. Friends and Lovers Sep 29, 1987 Chris and Zoe goes to town to meet Zoe's dad. The guys in town is fishing eel. Sam and Emma is figthing. The Hometown Hero Oct 13, 1987 A novice pilot takes control of a plane when his instructor brother falls ill.
A Distant Echo Oct 20, 1987 Violet wants to die when she finds out that her grandfathers father killed a lots of aborigines. Kate and Geoff ignore each other. No Quarter Asked Nov 3, 1987 Kate's friend Jessie gets back after been away for five years. Emma and Sam decides that they shall get married. Myths & Legends Nov 10, 1987 Chris takes flying lessons to get something else than her lonleyness to think about. Old Hughi is back and makes everyone favours but then he dies. The Hitch-hiker Nov 17, 1987 Violet leaves for a vacation. Sam and Emma make plans for their marrige- Violet too. Chris father comes to visit her. Someone hurts her eye- geoff takes care of her. Give a Dog a Bad Name Nov 24, 1987 A carnival comes to Coopers Crossing and people get killed. The murderer seems to be a boy from the carnival. Chris father starts to be in the way for Chris and the others. Everyday a Gift Feb 11, 1988 Chris father (William)'s girlfriend arrives to Coopers Crossing. George Baxter wants to buy a farm- but his bid is to small. Finally he bides more and can buy the farm. Bearing Gifts Feb 18, 1988 An old lady sells/gives away hen's with ""sarmonella"". She gave one to Chris- but she couldn't kill it so she had it as a domestic animal (good for her). DJ and his friends from Greece opens a resturang. Violet was on Bali and Emma in Sindney, it's a big party when they come home. Repeat Performance Feb 25, 1988 Sam and Emma gets married. Chris misses the whole wedding when she's stuck on a farm in the outback with a sick child and the mother. They has to go 2,5 miles in a terrible wheather. But the girl survives and Chris breaks down after it. Geoff comforts her. The Noble Art Mar 3, 1988 A boxing troupe arrive and one of them is ex-champion Johnny Lawrence who is after Kate. Geoff is jealousy but keeps his distance. Johnny suffers a heart problem and has to give up boxing, so asks Kate to leave with him. Kate refuses stating its because of her love for Coopers Crossing, but Johnny tells her she loves Geoff.